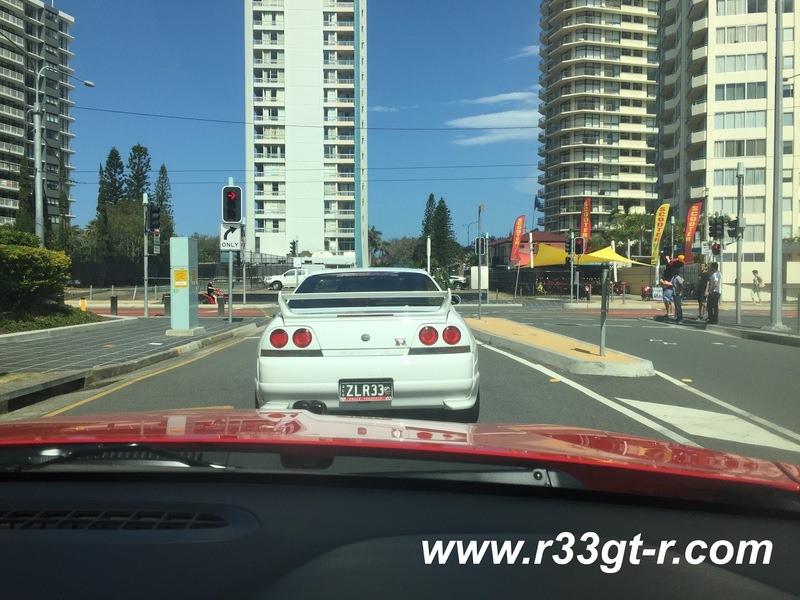 So yes folks, even on vacation I do R33 GT-R and car related things. 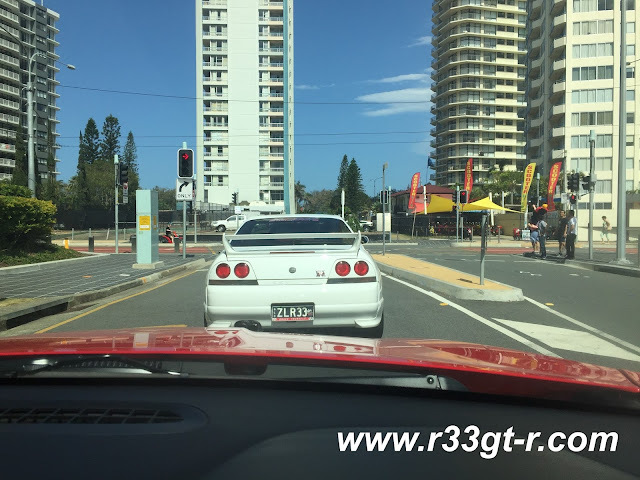 Case in point, last week when I vacationed in the Gold Coast, Queensland Australia, I realized it was quite close to Brisbane... and that Club R33 had several members who live in Gold Coast as well as Brisbane. 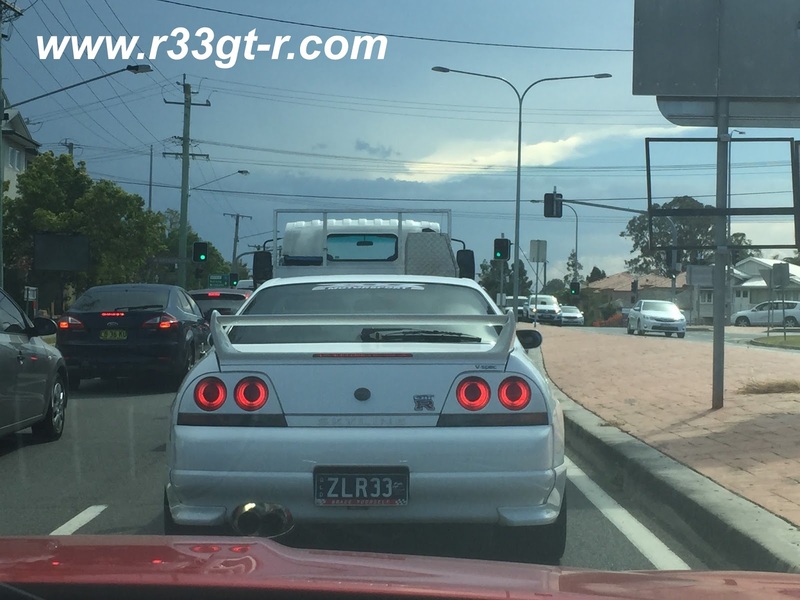 So I reached out, and then suddenly a Club R33 GT-R owners meet was on! This is the last Commodore series to be made in Australia, from next year they are all imported! Healthy looking V-6 engine, rear wheel drive! Anyway, on the appointed day Mark was kind enough to pick me up at the hotel I stayed at in Surfer's Paradise, to lead me to the "Hungry Jack" at "Upper Coomera" wherever that was. 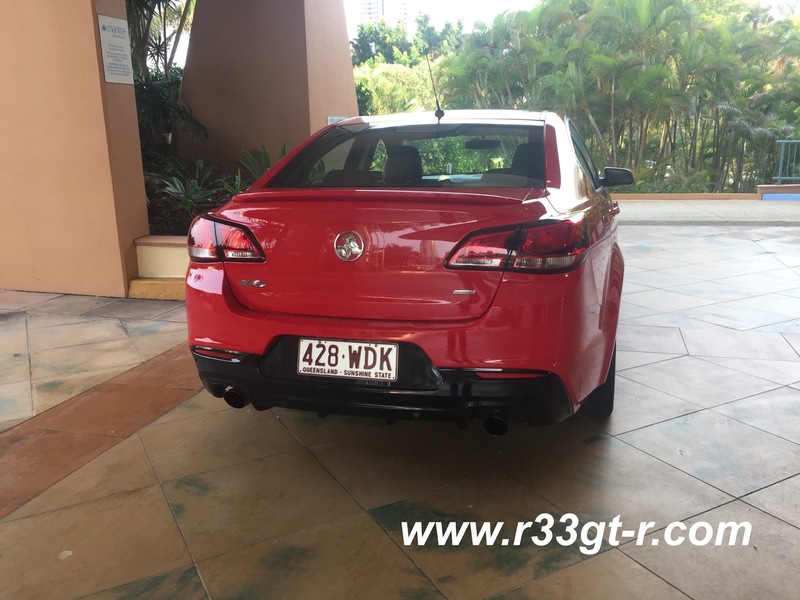 One thing I noticed... Wow the 33 sure has PRESENCE on local Aussie roads! And in particular, Rhys and his ex-Targa Tasmania car! Ok, I hate those "replica" wheels. Cast and heavy, unsprung weight places undue stress on suspension components. Full welded in CAMS 6 point roll cage. Total fighter plane cockpit! Ok now this is getting interesting. Loved this custom catch tank! Nice detail on the vents! Very clever placement of the oil cooler. Love the custom brackets! 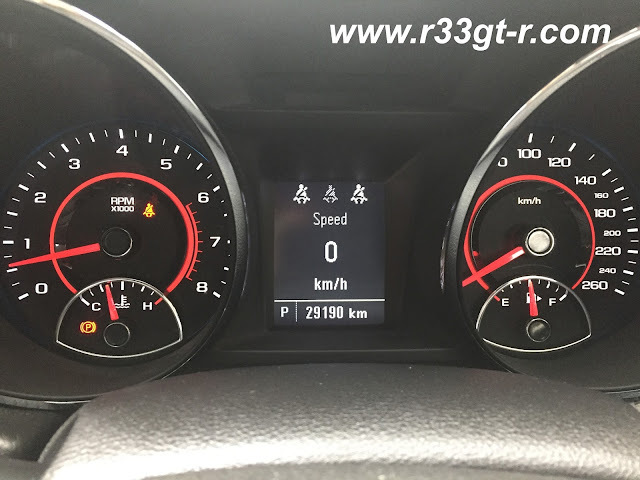 And of course, the all important ClubR33 sticker. Required for all serious BCNR33 owners. Mark's car. Love the number plate! Interior is mostly stock, including that GINORMOUS Series 1 steering wheel. Now this is cool, I loved it! Apexi N1 dual flow exhaust. Looks almost OEM from afar, but sounds amazing! Glenn's car. OK, I was impressed. Super clean! And yes I even checked the BACKSIDE of the Enkei wheels... no brake dust! 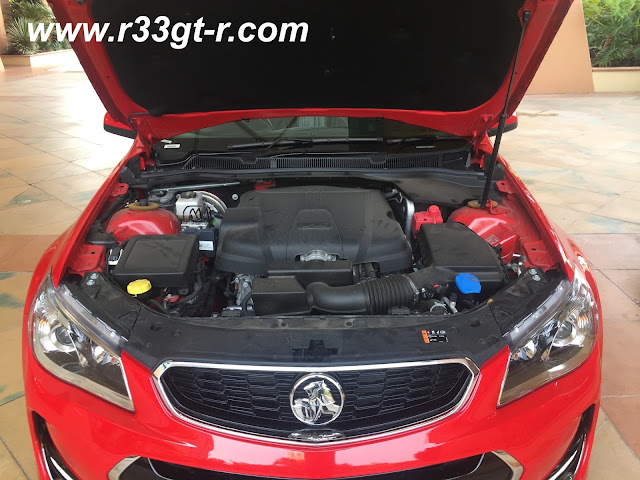 Love the color of the engine covers? Me too. 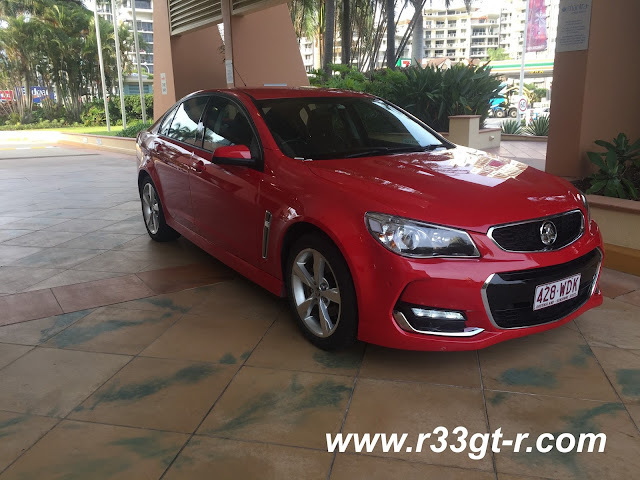 Glenn tells me it's a Holden color, "Prussian Steel Grey"! And yes I noticed the wrinkle paint on the surge tank too. I was interested in these stickers. Apparently no longer in stock at Nissan (I checked here in Japan). Clean + Sticker = extra 100hp! Also running those Enkeis! Except none of the OCD clean that Glenn displayed. This was AMAZING. Anyone know what this is? 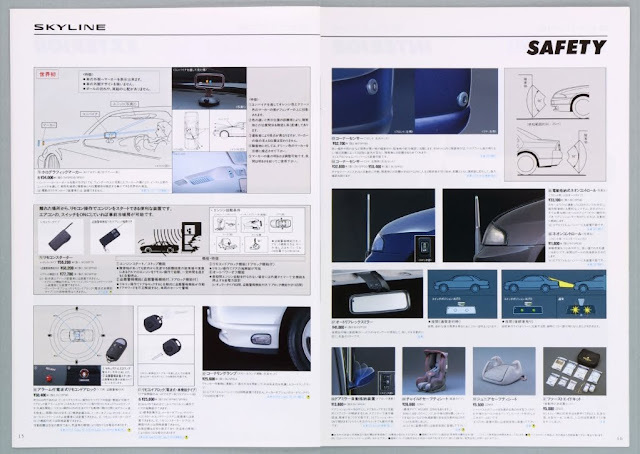 I've seen it only in old Nissan Skyline option catalogs. It's the base Unit for the "Holographic Marker"
Upper left - the unit is called the "Holographic Marker" - the Unit sends out two beams, orange and green - and when viewed in the dash mounted "Combiner" - orange shows where an obstruction is, while green is 10 cm away. Supposed to help in parking...unfortunately Tox doesn't have the Combiner so we couldn't see how it worked. Timm's 944 was impressive too. His brother Tom's 33 is "undergoing treatment" so they arrived in this. Have to admit, very nicely done. Most of the paintwork was done when the engine was out of the car. As Rhys left early, we asked Timm to take this memorial photo. As there were a few members who could not make this meet, I hope they will do so at the next one, whether I am there or not. Actually, it's my hope that people read this and start organizing their own events, so that we start having Club R33 meets all over the world! How cool would that be? R33 FTW!